Home Tags Posts tagged with "pilot died in crash"
[googlead tip=”patrat_mic” aliniat=”dreapta”]Acording to Ministry of Defense the plane of Flight Lieutenant Jon Egging, 33, crashed near an airport some 100 miles from London. The plane apparently suffered a failure after performing at the Bournemouth Air Festival. Flight Lieutenant Jon Egging was flying under the call sign RED 4 and it seemed to have tried to eject only after guiding the RAF jet towards a field to avoid crashing over the houses. He was the first Red Arrows pilot to die in a crash for 33 years. 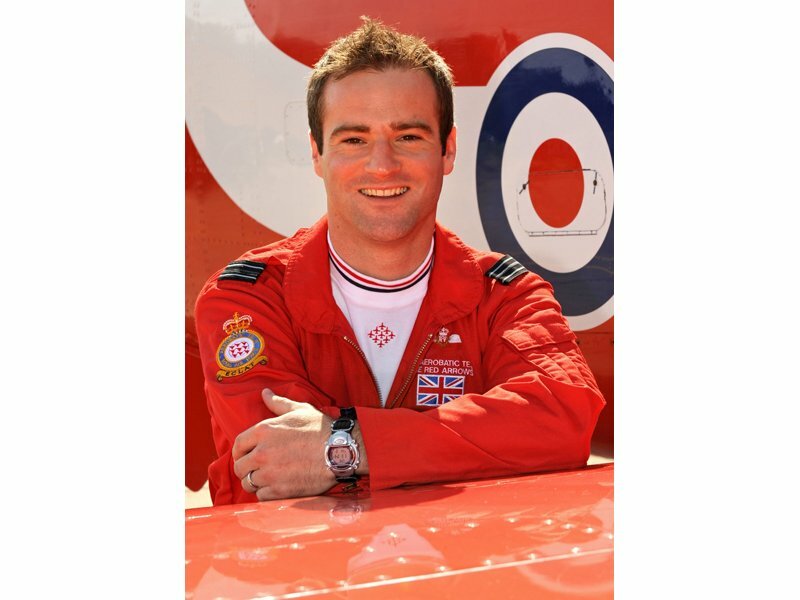 It is with sadness that the MOD must confirm the death of Flight Lieutenant Jon Egging of the Royal Air Force Aerobatics Team (The Red Arrows). [googlead tip=”lista_mica” aliniat=”stanga”]Flight Lieutenant Egging was killed when his Hawk T1 aircraft – Red 4 – crashed around 1km South East of Bournemouth Airport at 1350 on Saturday 20 August 2011. A full Service Inquiry into the details of the crash has been initiated. It would be inappropriate to speculate on the causes of the incident at this time. Flight Lieutenant Egging, aged 33 from Rutland, flew the Harrier GR9 before joining the Royal Air Force Aerobatic Team. Jon became interested in flying at an early age, inspired by his airline pilot father who used to take him ‘down route’, allowing him into the cockpit for take off and landing. Jon is survived by his wife, Emma. [googlead tip=”vertical_mic”]He attended Southam School in Warwickshire gaining A-Levels in Mathematics, Physics and Chemistry. He was a member of 2028 (Southam) Sqn Air Training Corps from age 13. During the sixth form he was awarded a Royal Air Force Flying Scholarship and had his first solo flight in a Cessna 152 flying from Wellesbourne Mountford Aerodrome. Following a gap year spent working in the UK and travelling around Australia, Jon went on to read a BSc in Environmental Science at Southampton University. He joined Southampton University Air Squadron and was awarded a Royal Air Force Bursary in his second year. Whilst at University Jon completed Elementary Flying Training with the University Air Squadron, flying the Bulldog; he went on to join the Royal Air Force in 2000. Selected for fast jet training Jon flew the Tucano and Hawk before becoming a ‘Creamie’ Qualified Flying Instructor on the Hawk at Royal Air Force Valley, teaching both students and instructors. Jon went on to serve with IV(AC) Squadron – ‘Happy IV’ – based at Royal Air Force Cottesmore, flying the Harrier GR9. During his time on the front line Jon was proud to support coalition ground forces when flying operational missions in Afghanistan. He has also taken part in exercises in the United Kingdom and America. As part of Joint Force Harrier, Jon served with IV(AC) Squadron on HMS Illustrious, flying training missions off the UK coastline. He became the Squadron Qualified Flying Instructor during his last year on ‘Happy IV’, making the transition to teach on the Harrier Operational Conversion Unit, based at Royal Air Force Wittering, in April 2010.